I can’t bear to write history this week. I’ve been spending quite a bit of time e-mailing a former student of mine, who is currently serving in Afghanistan with the U.S. Army. He should be in graduate school, but stop-loss interfered with that. He’s not optimistic about how things are going. From his (admittedly limited) perspective, the U.S. presence isn’t helping much right now. I don’t know if his perception is accurate, but this diary isn’t about that. It’s about how soldiers cope when they’re tasked with something impossible, hopeless. Perhaps foolhardy, and probably morally objectionable. My student is treating his Afghanistan experience as an academic problem (I told you he should be in graduate school). He’s documenting his experiences, writing about them, treating this as a sort of anthropological project, as it were. How have others coped in similar situations? Join me, if you care to, as I thumb through the poetry books on my shelf and consider the response of five writers—three British, one Canadian, and one American– to the brutal carnage of World War One. England, 1914. A surprisingly broad cross-section of English society joined up in an early wave of patriotism and optimism at the war’s commencement. 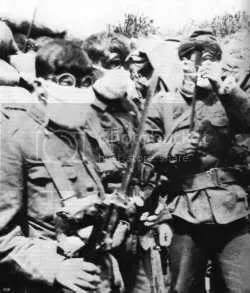 Like their German counterparts, the jingiostic Brits were positive that the war would be over quickly–and that their cause was just, even noble. “The Soldier” was an incredibly popular poem from its first publication in The Times on April 24, 1915—the day after Brooke died (of septic pneumonia) on the way to Gallipoli. Praised as an exemplary hero by no less than Winston Churchill, Brooke became a sort of sort of emblem of self-sacrificing patriotism. His body lies that was so fair and young. His arm is still, that struck to make men free. Where, on a warrior’s grave, a lyre is hung. We keep the vision of his chivalry. Smote now his harp, and now the hostile horde. Song on his lips, and in his hand a sword. Kilmer himself joined the American army in 1917. He was killed by a sniper at the Second Battle of Marne, on 30 July 1918, aged 31. The French Republic posthumously awarded Kilmer the Croix de Guerre. The First World War turned increasingly fatal—and brutal–in 1915. 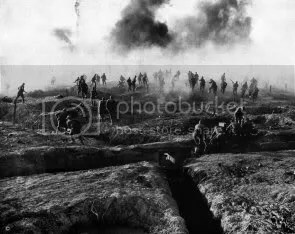 The Second Battle of Ypres, for example, was a four-day action resulting on over 100,000 combined casualties. Although it would necessitate an entire diary to explore the reasons WHY that war was so deadly, the short version is this: the tactics and did not keep up with weaponry. What use is an infantry charge against a machine gun? 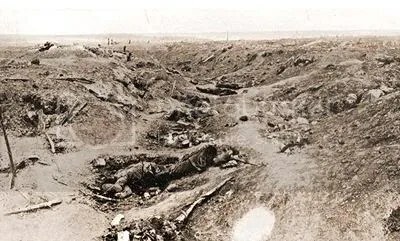 It was an industrialized war, with automatic weapons, mass-produced chlorine gas, barbed wire, and many other weapons that could wreak incredible carnage. No-one had ever imagined anything like it. The Second Battle of Ypres was especially fateful for the Canadian army. Later singled out for their bravery and incredible discipline, the CEF at Ypres suffered nearly 6,000 casualties to their 10,000-man force. The carnage prompted one Canadian military surgeon to pen what may be the best-known poem of the war. Watch a one-minute film about the poem’s creation here. 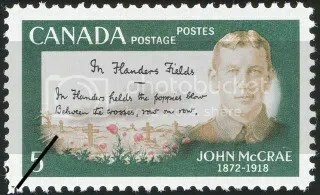 McCrae died of pneumonia on January 18, 1918, aged 45. The use of gas, at Ypres and elsewhere, was surely one of the most horrifying aspects of the World War I battlefield. It’s probably impossible for us to grasp the full horror of watching a comrade die from chlorine gas. I have met a few WW I vets who described it to me, and it still fails my imagination, I’m sure. Perhaps the closest I can get to it is in the words of my favourite war poet, Wilfred Owen. Of gas shells dropping softly behind. They have only a few precious moments to don their protective gear. But what of the man who is too slow? For those of us who skipped Latin class, the last line translates as “It is sweet and fitting to die for your country.” Owen’s experiences, like those of many men, had worn away the Rupert Brooke-esque enthusiasm of the early years. But the horror of the trenches was not so easily communicated to the Home Front. Sympathetic family members often had a hard time coping with their battle-scarred sons and husbands. What we call “PTSD” was then known as “shell shock.” It was difficult for those who had not been to the front to understand why so many men’s minds simply stopped working in the face of the unremitting horrors of the trenches. I’ve never bought that it was “sweet and beautiful” to die for your country. But I’ve believed it might be useful, or necessary. I still have a few relics from my attempts to do so: a few webbed belts, a uniform hat stuck away in the closet, some insignia and pins jumbled in a jewelry box. I’m polishing my dress uniform shoes, and they just won’t shine. I’ve tried every trick in the book and they look as dull when I finish as when I started. Then suddenly–in that fashion that only makes sense in dreams– I realize that I’m polishing the wrong shoes. Horrors! I’m wearing my Service Dress Whites, but I’m polishing my black shoes. I put down the shoes only to discover I’ve gotten black shoe polish all over my whites. I try to take them off, but I’m smearing the O&^(&^*&! !-ing black shoe polish everywhere. And then the bell comes, and I know I’m supposed to be— somewhere, I never know where. But it’s urgent. And (dream fashion) some unrelated person shows up to urge me on: my mother, FDR, my best friend from grade school. Last week, my ex strolled into my dream, demanding to know why I’d gotten shoe polish all over his uniform too. I looked, and sure enough, the “Canada” on his DEUs was completely obscured by shoe polish. What had I been doing to get shoe polish there? I’m sure the answer lies in my concerns about Afghanistan, where Canadian Forces are paying an especially heavy toll, and my concern that the American presence may actually be making things worse for everyone. My dumb nightmare usually shows up when I’m completely conflicted about something. And I’m very, very conflicted about Afghanistan. So I read some Siegfried Sassoon. Talk about conflicted. The well-educated scion of a wealthy family, he joined up early on in the war. 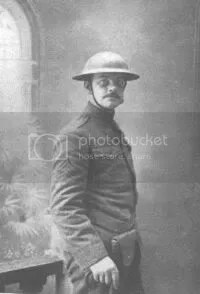 He blamed the Germans for the death of his brother in 1915, and went on to show insane bravery in the face of enemy fire–his nickname was “Mad Jack.” He was decorated for his exploits. In spite of his feelings about the war’s immorality, Sassoon chose to return to the front. 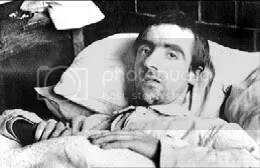 His reasoning seemed to be that he was of much more use to his men at the front than protesting it–protests which could be dismissed as delusional symptoms of his “neurasthenia” (the clinical term for shell shock). 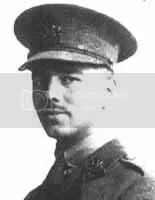 While at the Craiglockheart medical facility, Sassoon befriended Wilfred Owen, author of “Dulce et Decorum Est.” Owen was genuinely suffering from shell shock, the result in part of his experiences at the Battle of the Somme (one of the bloodiest battles in human history, with over a million casualties). Sassoon greatly influenced Owen, both personally and as a poet. It is thanks to Sassoon that Owen’s poetry was published. Despite his almost suicidal bravery and several wounds, Sassoon survived the war, and promoted Owen’s works (as well as his own) as testaments to the conflict’s folly. 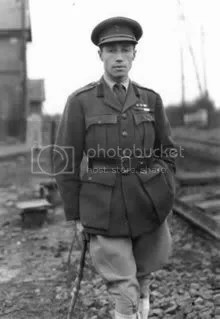 Wilfred Owen returned to active service. He was killed in action on November 4, 1918, aged 25. The war ended on November 11, one week later. An inexpensive collection of British war poetry is available here. The Penguin Collection of First World War Poetry is nicely comprehensive. A classic study by Paul Fussell, The Great War and Modern Memory provides an academic look at the cultural impact of the war. I also like Jay Winter’s Sites of Memory, Sites of Mourning:The Great War in European Cultural History. For a general introduction to World War One, I like James Stokesbury’s affordable and readable text. For a less academic look at the experience of trench warfare (at least from a British perspective), try John Ellis’s Eye Deep in Hell. This entry was posted on Saturday, October 6th, 2007 at 10:54 pm and is filed under Uncategorized. You can follow any responses to this entry through the RSS 2.0 feed. Responses are currently closed, but you can trackback from your own site.